UPSR is over, so I'm going to take a break from writing about it for a while. Teachers in my school are busy planning activities to engage the Year 6 students after the big examination is over. Our English panel is thinking of doing the English Week, maybe some time this month. 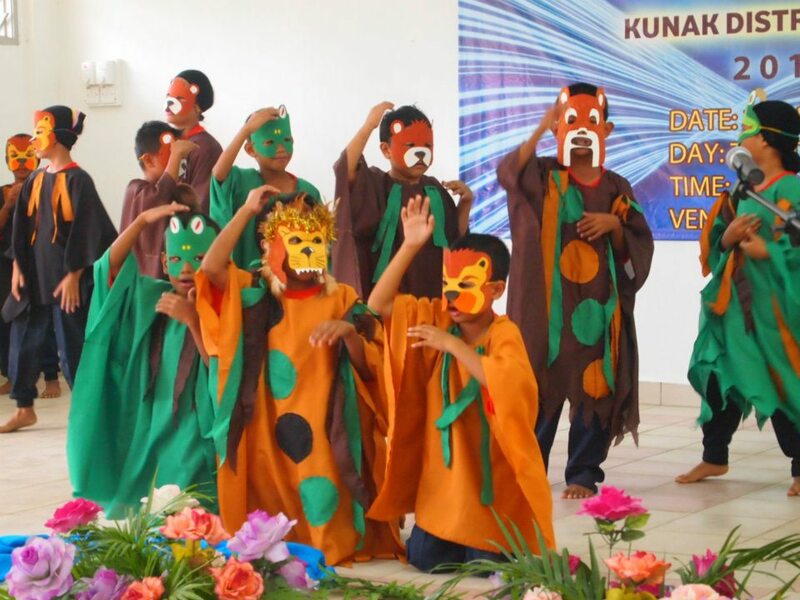 I like English Week a lot, because it gives the students (as well as teachers) the opportunities to learn and use English outside the classroom through fun and engaging communicative activities. 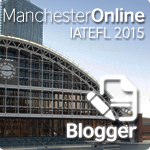 I'm trying to search for some ideas for this year, and I think the best way to get inspired is by looking at the activities in our previous English Weeks. After browsing through old albums and reports with my panel members, we found some activities that we think we like to do again this year. These are my top five favourites. We did this a couple of years ago. We divided teachers and students into several teams. The teams would have to look for envelopes containing clues hidden everywhere around the school. Each clue would lead the teams to different stations. The teams would have to perform the English language task given in every station before they could have access to the clue that would lead them to the next station. The first team to arrive at the final station would be the winner. The envelopes containing all the clues. Actually, this refers to a mural painting on the pre-school classroom wall. Yup, you're right. This one leads to the computer lab. We hid some clues in one of the English teacher's car. This one is referring to the school hall. It was really funny watching the children and teachers going around saying 'hot and spicy cuffy puffs' to everyone. Listening task in one of the stations. Tongue-twisters in one of the stations. The teams needed to get this right before they could have access to the next clue. I was the one responsible for reading this out at the final station. I love the look on the participants' faces as they waited (im)patiently for me to get over with all the blah blah. All they wanted to know was whether they were the first team to arrive. The impact of the activity was unexpectedly amazing. Everyone spoke English all throughout the event. A couple of days after the activity I posted the pictures on Facebook. 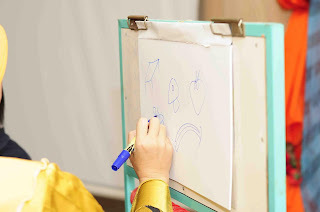 People commented on the pictures in English. It went on for a few weeks, teachers and students were conversing in English everywhere in the school - along the corridor, in the staffroom, at the canteen. We'll definitely do it again this year, this time we decided to include the parents. I think it's a good way to get everyone to use English in a way that is fun and in an atmosphere that is not intimidating, especially for the shy ones. This was also done in our previous English Week. Like the 'Amazing Race', this was after the popular TV game show by the same name. We wrote down some clues for the participants to draw. For the teachers, we gave some simple sentences like 'I like to play football' or 'She loves sandwich.' For the students, we used words - 'ball', 'elephant', 'pencil' etc. One person from the team would draw, while the rest would try to guess the sentence or the word. One point would be given for each correct guess. The winner was the team with the most points. I think the pictures say it all. It was fun! Another thing that was interesting about this activity was that it gave the students the chance to see the 'different sides' of their teachers. One student said to me, "I didn't know teachers can laugh that loud!" Another student said, "The teachers' drawings were so funny, I laughed so much. I wish we could have fun like this more often." In this activity, we got the teams to sit in a line. Then, we would whisper a sentence or a phrase to the first person. The person would then whisper it to the next person, and the whispering would continue until it reached the last person in the line. The last person would then run to the desk at the back of the room and wrote whatever that was whispered to him/her on a piece of paper. Some of the results were hilarious! 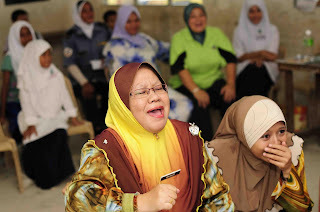 I guess it's no secret how much Sabahans love karaoke. So, yeah, we have to have it in our English Week. I was surprised by the kids' song choices. I was expecting 'Twinkle, Twinkle Little Star,' or probably Miley Cyrus and Justin Bieber. I was wrong. 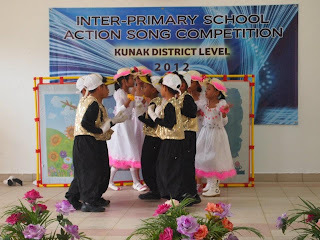 The children sang Abba, Mariah Carey and Maher Zain. The crowd's favourite was Celine Dion's 'My Heart Will Go On.' Hmm. Mr Refen, the Afternoon Supervisor. He's great. We did this with the Level 1 children. 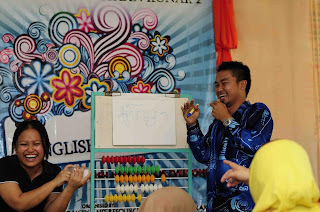 It became quite an interesting competition, not among the students but the English teachers. 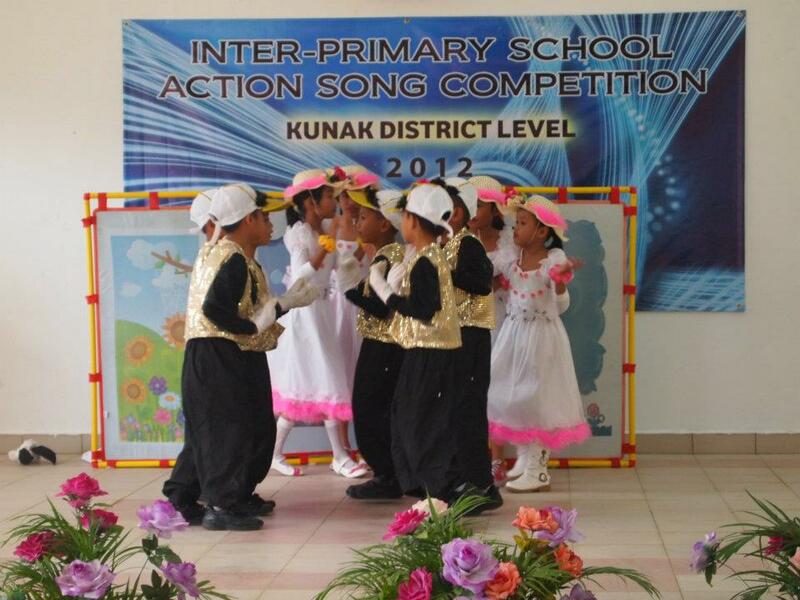 I remember how committed my colleagues were in preparing their students for the competition. There were even some 'psychological wars' going on in the staffroom, and it was really funny, we all had a lot of fun. The children loved it too. We could see how talented our students were in action song, so we brought them to Lahad Datu for the Zone Level Action Song Competition. We won! You can read all about it here. 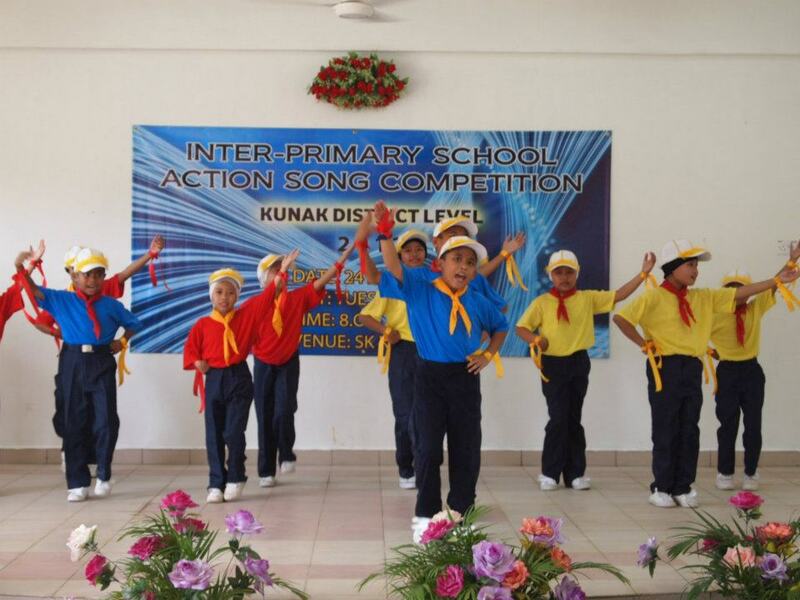 Last year, my school hosted the Kunak district level Action Song competition. Our school's team got second place. It was one of the most exhausting project I've ever handled - I stayed in school until 1 a.m. every day during the week before the event to do all the preparation work. Yet it was also one of the most fun, and most rewarding - both for my students as well as my English panel. I wish we could do it again. I forgot what song these little ones were singing, but I think their costumes were really nice. These are five of my favourite activities for English Week. I hope we would be able to do at least some of them this year. My special target is to get the parents involved. 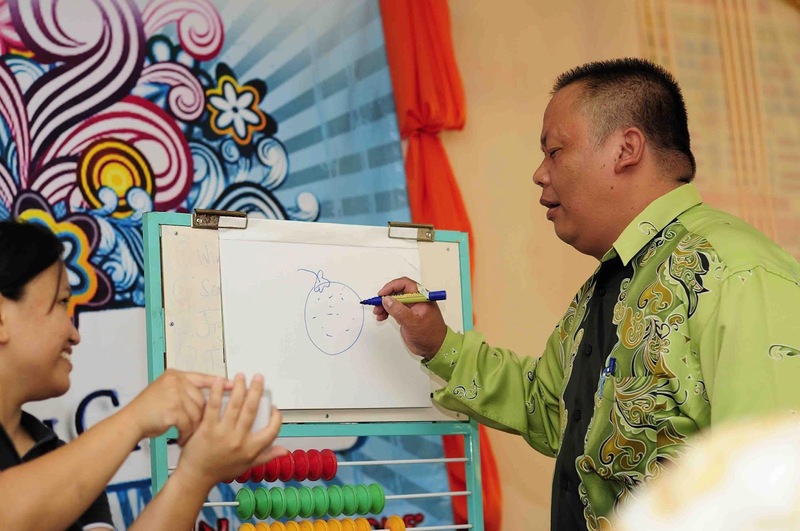 Apart from that, I think I would try to do some little activities for the pre-school children, too. There are a few more activities that I would love to share, but I think I would write about them in my next post. 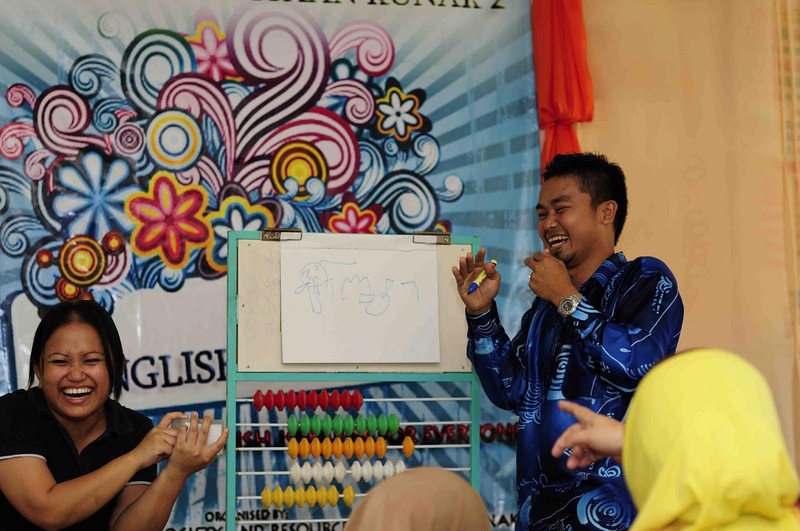 What are your favourite activities for English Week? I hope you wouldn't mind sharing them with me. 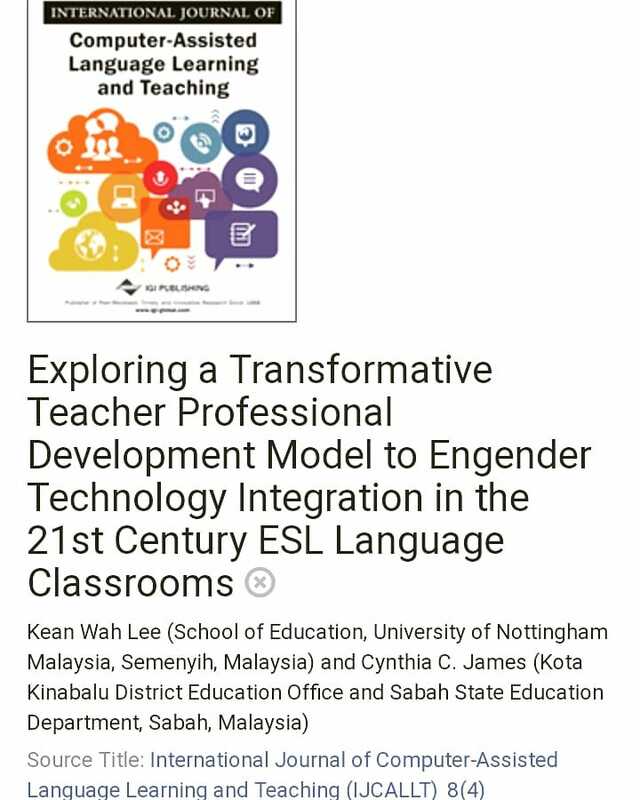 Great ideas to think of for my school's english week. Thanks so much! Yay! I got some great ideas for my school's English carnival for this year. Thank you! Wow, it amazed me. I did jazz chant to my pupils during Majlis Anugerah Kecemerlangan. Just for a share. 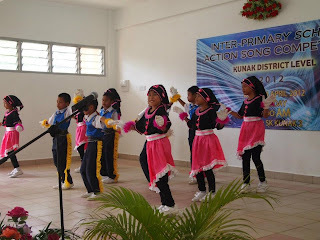 It was really great expecially when all the children were miming the year 1 and coping new words. English is not so tough to teach. Wow, it amazed me. I did jazz chant to my year 1 pupils during MAKEM. 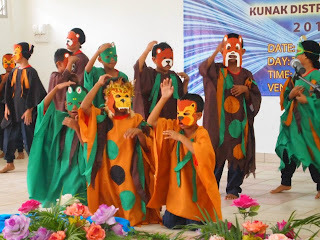 It was really great expecially when the children were actually miming and coping new words. Yeay! I am very happy. Finally I found you. Thank you so much..This helped a lot! 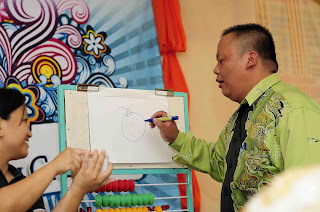 Great activities, teacher! I was suddenly pumped to try out these activities in my own school. Hope i could make it happen... So much to do, so little time! Thanks again Ms Cindy, hope to see some activities with FINCO from you soon.